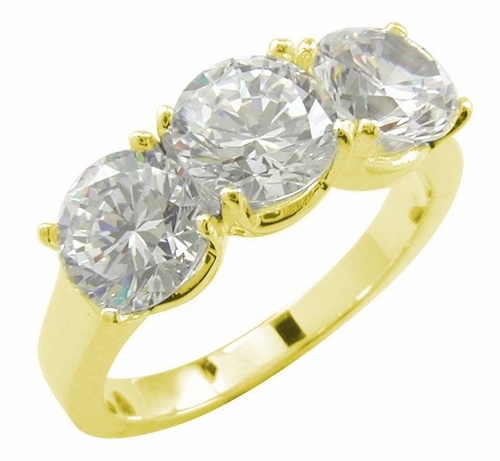 Our Cullier 1 Carat Each Three Stone Round Cubic Zirconia Anniversary Ring features three round stones each the same size. 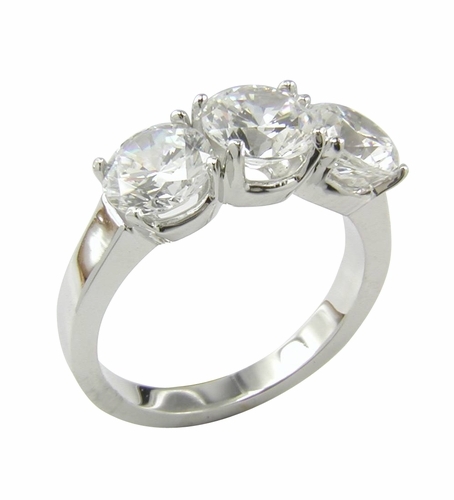 Each stone is individually set in a low profile four prong setting. This 1 carat each round anniversary ring is an inspiration from the original styles of this theme back in the early 1900's. 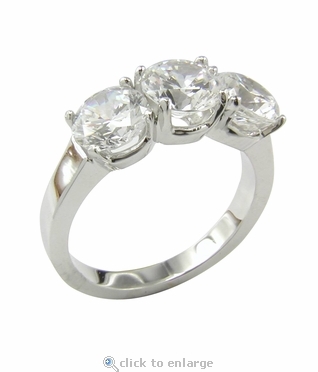 Traditionally, this ring is made with three stones of the same size and in this case they are 1 carat or 6.5mm each. The brilliant 58 facet round high quality Russian formula cubic zirconia are all hand cut and hand polished to diamond specifications for the best possible alternative to a top quality genuine diamonds. Add your choice of anniversary band or eternity band and you will be sure to have an amazing bridal set or wedding set. Coupled with our solid high quality 14k gold, 18k gold and platinum mountings, you will be assured you are receiving the best possible finished product. Get yours today at this bargain price. Due to extremely low pricing, all clearance sales are final. Clearance items are stocked in a certain finger size(s), see below. They may be sized for an additional fee. Please see the Sizing Options window below. Sizes below a 5 or above an 8 can be made via Special Order, Call 1-866-ZIAMOND for a quote.